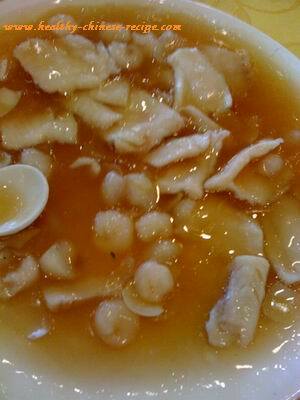 Ningbo food is famous for its seafood. Here are some dishes in a Ningbo restaurant in Shanghai.Many Shanghainese originally from Ningbo city. Ningbo food is light, fresh. But I feel they put a little much more cornstarch in this restaurant. All dishes were same flavor. It seemed the chef used the same ingredients. As my friend is a pescetarian. So we didn't order meat. 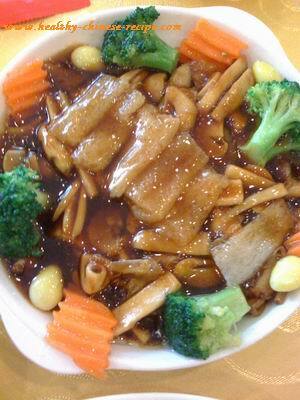 This Fried Fish Slices in Wine Sauce is popular in Shanghai area. 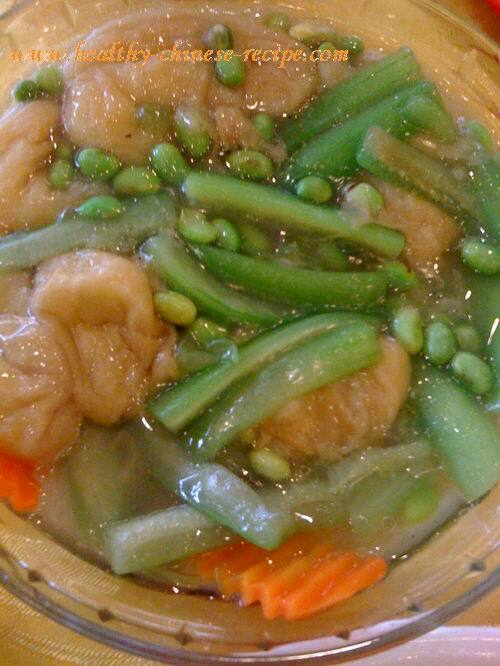 Oil Fried Wheat Gluten (Mianjin) with Towel Gourd and Edamame. 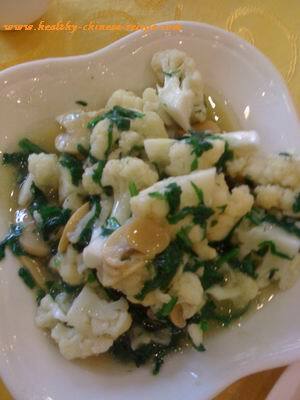 Fried Wheat Gluten(Mianjin) is popular in Shanghai area. It can be used as a vegetarian food. Cauliflower Stir Fry. It's a good idea to stir fry with green vegetables. Fungus and Mushroom Stir Fry. This is a very healthy dish, especially for vegetarian. I suggest you order this kind of dish in Chinese restaurant. Basically, mushroom and fungus are expensive.